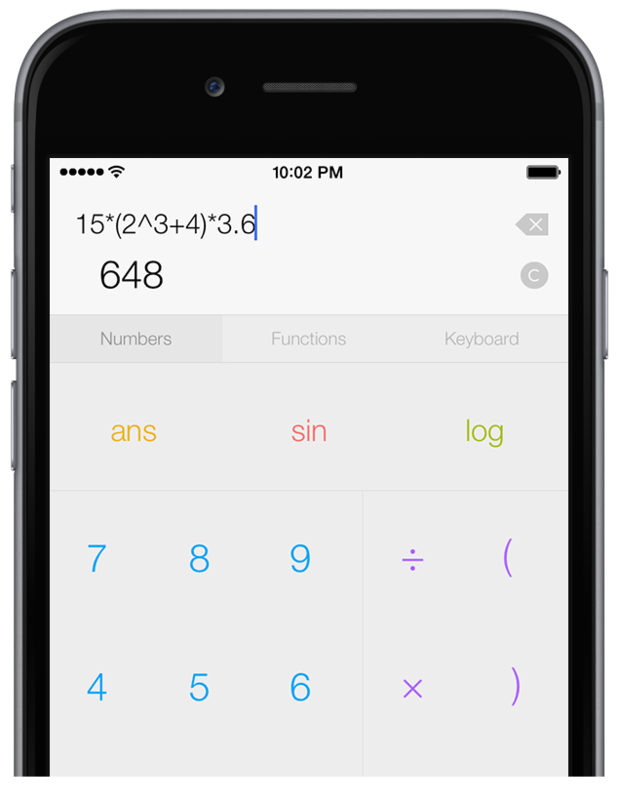 PEMDAS Touch is a simple yet powerful calculator for iOS. It has an easy-to-use interface for calculating equations, and it also saves all the equations and variables you've calculated and provides easy access to them! PEMDAS for iOS is based on the PEMDAS Dashboard Widget, which won an Apple Design Award in 2007. PEMDAS Touch has many features—some are highlighted below, and also in the introductory video. PEMDAS Touch is based around working with equations. Simply type in an equation, hit the equals button, and you have the answer! No more messing around with RPN or the painfully archaic one-button-at-a-time calculators. 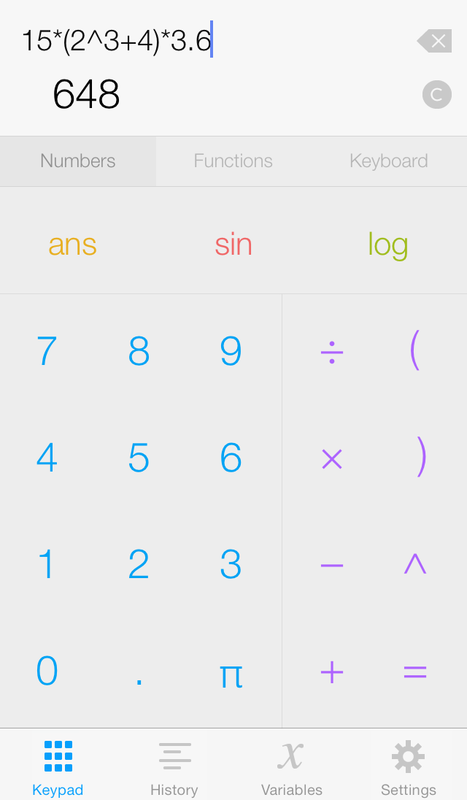 PEMDAS keeps track of everything you've calculated in the Equations tab, even in between app launches. There, you can see the equations you've calculated and their associated answers, and you can easily recalculate them. To clear all the equations, tap the Clear button. What's the point of a having a good calculator if you can't format results so they're easy to read? PEMDAS has several different kinds of number formatting, including float, scientific, engineering, and percent. You can also set the number of decimals or significant figures to display. PEMDAS lets you assign variables by using the equals sign, such as "a=25". All variables (including automatically assigned results) show up in the variable tab for easy access.